Family Family feature based on the book by Dr Seuss. The Grinch is a mean-spirited recluse with a heart two sizes too small who loathes Christmas and all that the festive season entails. 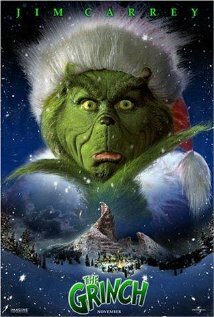 Disguising himself as Santa Claus, the Grinch attempts to ruin Yuletide for the residents of nearby Whoville by stealing all the presents, food and decorations, but he soon learns that the true spirit of the season is much more than tinsel and toys. The Grinch is not currently showing anywhere.